Made from a soft, comfortable fleece fabric, our great value jogpants have a slimmer leg and functional drawstring waist. With a cuffed ankle and new and improved fit, they are treated with moisture management to keep them cool and fresh. 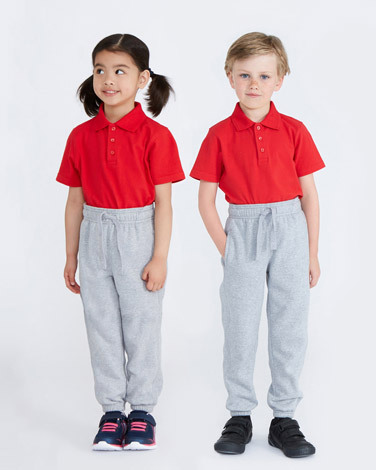 Machine washable and suitable for tumble drying, these jogpants have newer-for-longer properties that reduce the appearance of bobbles and colour loss to maintain a bright and new aesthetic wash after wash.